Sagicor Group jumped $5.50 on Thursday. Sagicor Group jumped $5.50 to help push the All Jamaican Composite Index a healthy 6,934.04 points to close at 427,060.76 on Thursday while the JSE Index jumped a sizable 6,301.17 points to 389,076.82. 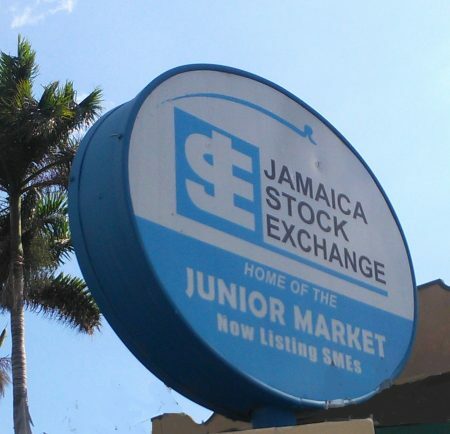 Market activity picked up on the main market of the Jamaica Stock Exchange with 3,564,657 units valued $53,154,918 traded compared to 3,197,837 units valued $101,850,841 on Wednesday. At the close, the main and US markets had 28 securities traded, compared to 29 on Wednesday leading to 10 advancing, 11 declining and 7 closing unchanged. 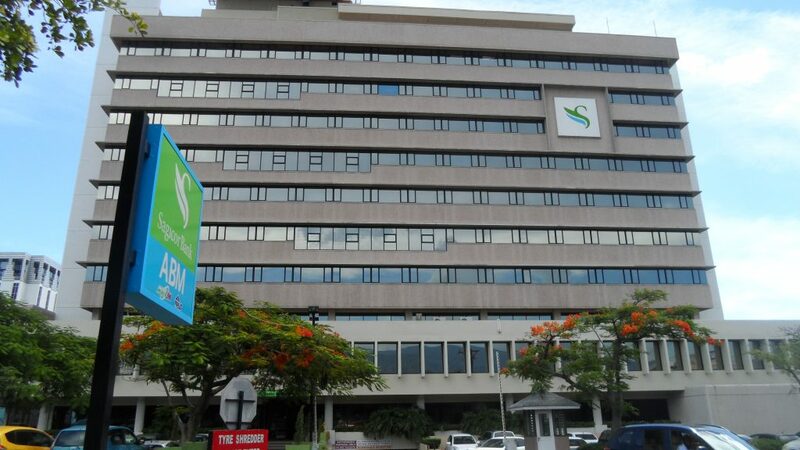 Sagicor Real Estate Fund led trading with 999,193 shares, accounting for 28 percent of total main market volume, followed by 1834 Investments with 623,879 units and 17.5 percent of the day’s trades and Radio Jamaica with 570,068 units for 16 percent of volume traded. Market activity ended with an average of 132,024 units valued at an average of $1,968,701 for each security traded. In contrast to 114,208 units for an average of $3,637,530 on Wednesday. The average volume and value for the month to date amounts to 142,319 shares at $2,375,277 for each security, compared to 142,996 shares at $2,404,318 previously. Trading for March resulted in an average of 438,501 shares at $9,851,307, for each security traded. IC bid-offer Indicator|The Investor’s Choice bid-offer indicator ended with the reading showing 11 stocks ending with bids higher than their last selling prices and just 2 closing with lower offers. In main market activity, Barita Investments gained 50 cents to close at $40, with an exchange of 239,307 shares, Caribbean Cement dropped $2.05 to $65 with 9,246 shares changing hands, Jamaica Broilers lost $2 to close at $31, with an exchange of 191,617 shares. Jamaica Producers fell 74 cents to close at $21.26, after trading 14,597 stock units, Kingston Wharves shed 50 cents to settle at $68, with 1,968 units changing hands. NCB Financial Group recovered the $1.20 lost on Wednesday in trading 64,859 shares, to close at $143.80, PanJam Investment jumped $3.69 to close at $81.70 after trading 17,858 units, Sagicor Group jumped $5.50 to $45 in an exchange of 77,600 shares. 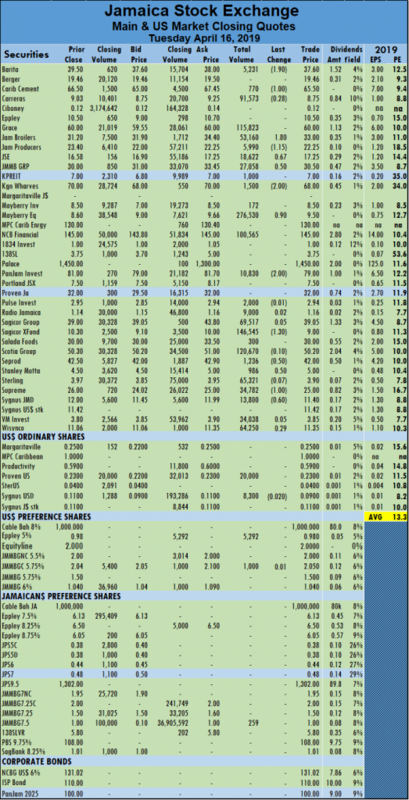 Sagicor Real Estate Fund jumped $1.60 to $10.60, in trading 999,193 shares, Scotia Group fell 30 cents and finished trading 7,881 shares at $50.20, Seprod closed at $42.20 with a loss of 30 cents while trading 48,132 shares. Stanley Motta lost 34 cents and ended at $4.66, in trading 638 shares and Supreme Ventures lost 50 cents in finishing at $26.50, with 43,452 units changing hands. Trading in the US dollar market ended with just one security trading. Sygnus Credit Investments rose 1 cent and ended trading of 6,682 units at 10 US cents leaving the JSE USD Equities Index rose 0.87 points to close at 179.26. 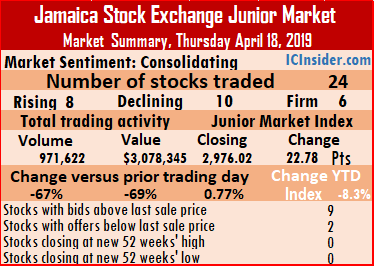 The Junior Market of the Jamaica Stock Exchange closed with volume dropping 67 percent and value down 69 percent from Wednesday’s levels, but the market index rose 22.78 points to 2,976.02. Trading resulted in an exchange of 971,622 units valued at $3,078,345 compared to 2,931,075 units valued at $10,007,520 on Wednesday. Investors exchanged 24 pushed securities similar to Wednesday with prices of 8 rising 10 falling while 6 remaining unchanged. IC bid-offer Indicator| At the end of trading, the Investor’s Choice bid-offer indicator reading shows 9 stocks ended with bids higher than their last selling prices and 2 with lower offers. Trading ended with an average of 40,484 units for an average of $128,264 in contrast to 122,128 units for an average of $416,980 on Wednesday. The average volume and value for the month to date amounts to units 134,650 valued $341,097 and previously 100,529 valued $356,911 for each security traded. In contrast, March closed with an average of 195,942 shares valued at $777,498 for each security traded. At the close of the market, AMG Packaging exchanged 280,000 stock units and ended at $2.12, Blue Power concluded trading with 4,320 units and lost 10 cents in closing at $4.40, CAC 2000 jumped $3 to close at $12, with 1,000 shares changing hands, Caribbean Producers finished trading 40,259 units, and rose 2 cents to end at $4.62. 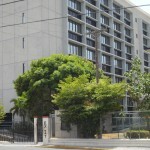 Derrimon Trading ended with a loss of 24 cents at $2.51, with an exchange of 41,946 shares. Dolphin Cove concluded trading 6,614 shares and rose 50 cents higher to $13, Elite Diagnostic settled at $2.90, with 10,500 units changing hands, Express Catering ended trading of 8,466 shares to close at $7.22, Fontana finished trading 39,497 shares with a loss of 20 cents at $3.80. General Accident closed 29 cents higher at $4.29, with an exchange of 5,400 stock units, GWest Corporation ended 2 cents higher at $1.33, with 19,828 units changing hands, Honey Bun traded 100 shares with a loss of 22 cents at $3.83, iCreate lost 4 cents in closing at 81 cents, with an exchange of 230 shares. Indies Pharma ended trading of 12,638 shares, with a loss of 4 cents at $3.01, Iron Rock settled 5 cents higher at $3.50, with 1,000 shares changing hands, Jamaican Teas traded with a loss of 20 cents at $3.90, with the swapping of 6,800 units. Jetcon Corporation finished trading with a loss of 5 cents at $2.30, with 2,427 shares passing through the exchange, Knutsford Express concluded trading of 1,543 stock units with a loss of 10 cents at $11.90, Lasco Distributors finished at $3.70, with an exchange of 216,373 units, Lasco Financial settled at $4.16, trading 21,660 shares. Lasco Manufacturing ended trading 185,100 shares, with a loss of 8 cents at $3.13, Main Event traded 5 cents higher at $5, with an exchange of 11,421 shares, Paramount Trading closed 1 cent higher at $2.50, with 49,500 units trading and Stationery and Office concluded trading at $6.75, with 5,000 shares changing hands. 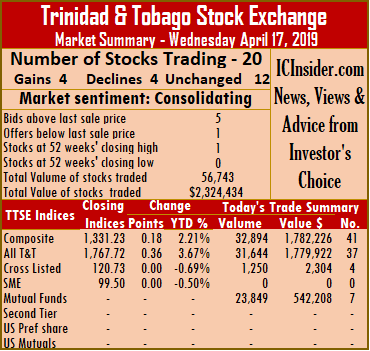 Market activity on the Trinidad & Tobago Stock Exchange ended on Thursday with trading in 11 securities against 20 on Wednesday, with 2 advancing, 3 declining and 6 remaining unchanged and West Indian Tobacco ending at a 52 weeks’ high. At close of the market, the Composite Index fell 0.93 points to 1,330.30. The All T&T Index declined 1.85 points to 1,765.87, while the Cross Listed Index remained unchanged at 120.73. Trading ended with 161,187 shares at a value of $3,029,240, compared to 56,733 shares on Wednesday valued at $2,324,434. IC bid-offer Indicator|The Investor’s Choice bid-offer ended at 5 stocks with bids higher than their last selling prices and 5 with lower offers. At the close of the market, stocks ending with gains| Massy Holdings gained 5 cents and closed at $53.10, after exchanging 1,143 shares and West Indian Tobacco added 5 cents to end at a 52 weeks’ high of $98.85, with 1,360 stock units changing hands. Stocks closing with losses| Clico Investments ended trading 1,231 stock units and fell 1 cent to $22.69, First Citizens concluded trading of 4,755 shares with a loss of 27 cents, to close at $36.62 and Trinidad & Tobago NGL traded with a loss of 10 cents and ended at $29.40, with 4,770 units changing hands. strong>Stocks closing firm| Ansa Mcal ended at $55.24, trading 368 units, National Flour ended at $1.67, with an exchange of 109,010 units, Point Lisas closed at $3.45, with 4,543 stock units changing hands, Republic Financial Holdings completed trading of 3,090 shares at $120. Scotiabank concluded trading at $62.50, with 30,106 stock units changing hands and Unilever Caribbean settled at $26.30, after exchanging 811 shares. 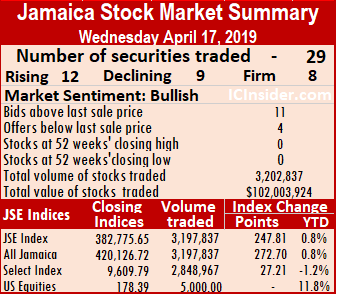 Market activity picked up on the main market of the Jamaica Stock Exchange on Wednesday with 3,197,837 units valued $101,850,841 traded compared to 1,271,826 units valued $41,461,461 on Tuesday. 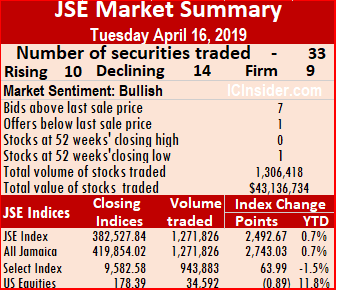 At the close of the market, the JSE All Jamaican Composite Index increased by 272.70 points to 420,126.72 and the JSE Index advanced 247.81 points to close at 382,775.65. The main and US markets had 29 securities traded, compared to 33 on Tuesday leading to 12 advancing, 9 declining and 8 closing unchanged. Grace Kennedy led trading with 1,129,961 shares, accounting for 35 percent of total main market volume, followed by Wisynco Group with 670,925 units and 21 percent of the day’s trades and Radio Jamaica with 421,639 units for 13 percent of volume traded. Market activity ended with an average of 114,208 units valued at an average of $3,637,530 for each security traded, in contrast to 43,856 units for an average of $1,429,706 on Tuesday. The average volume and value for the month to date amounts to 142,996 shares at $2,404,318 for each security, compared to 145,107 shares at $2,305,661 previously. Trading for March resulted in an average of 438,501 shares at $9,851,307, for each security traded. IC bid-offer Indicator|The Investor’s Choice bid-offer indicator ended with the reading showing 11 stocks ending with bids higher than their last selling prices and just 4 closing with lower offers. In main market activity, Barita Investments rose $1.90 to close at $39.50, with an exchange of 74,708 shares, Caribbean Cement climbed $1.55 to $67.05, with a mere 10,981 shares changing hands, Grace Kennedy traded 1,129,961 stock units after falling 37 cents to end at $59.63, Jamaica Broilers climbed $1.80 to close at $33, with an exchange of 53,160 shares. Jamaica Producers fell 25 cents to close at $22, after trading 69,348 stock units, Kingston Wharves gained 50 cents to settle at $68.50, with 650 units changing hands. Mayberry Investments declined $1 trading 69,600 shares, to close at $7.50, Mayberry Jamaican Equities fell 50 cents trading 138,162 shares at $9.50. NCB Financial Group dropped $1.20 in trading with 14,174 shares, to close at $143.80, PanJam Investment lost 99 cents after ending at $78.01 and trading 41,290 units, Sagicor Group rose 45 cents to $39.50 in an exchange of 10,772 shares. 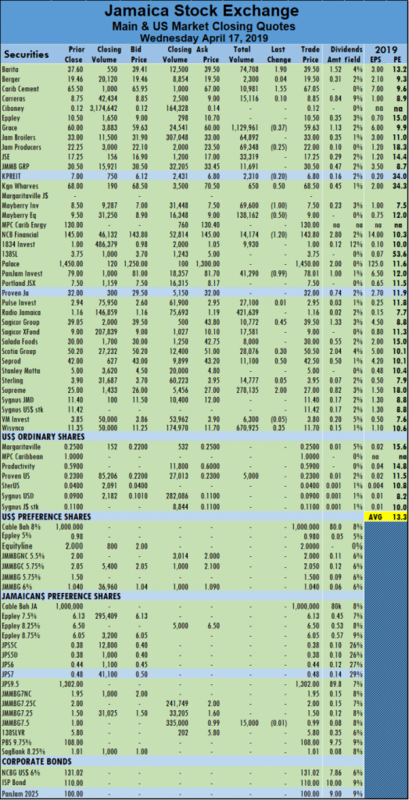 Scotia Group rose 30 cents and finished trading 28,076 shares at $50.50, Seprod closed at $42.50 with a gain of 50 cents while trading 11,100 shares, Supreme Ventures gained $2 in finishing at $27, with 278,135 units changing hands and Wisynco Group gained 35 cents trading 670,925 units, to close at $11.70. Trading in the US dollar market ended with just one security trading. Proven Investments ended trading with 5,000 units at 23 US cents leaving the JSE USD Equities Index unchanged at the close at 178.39. 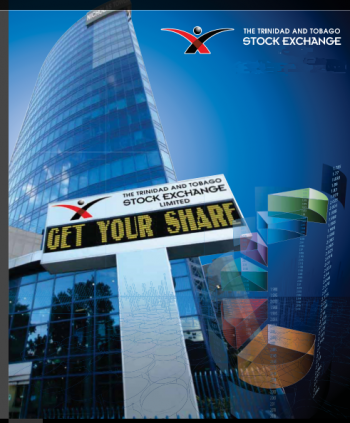 The volume and value of stocks trading on the Trinidad & Tobago Stock Exchange dived on Wednesday but the number of securities changing hands rose to 20, compared 14 on Tuesday but 7 were for a mere 10 units each. At the close, investors exchanged 56,743 shares for $2,324,434 compared to 218,204 shares at $5,294,306, on Tuesday. The market closed with 4 stocks rising, 4 declining and 12 remaining unchanged. At the close, two securities ended at 52 weeks’ highs. At the market’s close, the Composite Index added 0.18 points to 1,331.23. The All T&T Index rose 0.36 points to 1,767.72, while the Cross Listed Index closed unchanged at 120.73. At the close of the market, stocks ending with gains| First Citizens rose 34 cents to a 52 weeks’ high of $36.89, after exchanging 127 shares, Guardian Holdings gained 5 cents, while trading 4,117 units to close at $18.55, LJ Williams B share, gained 5 cents and settled at a 52 weeks’ high of 95 cents, after exchanging 260 shares and Prestige Holdings rose 19 cents and completed trading of 10 units at $8. Stocks closing with losses| Clico Investments lost 30 cents and ended at $22.70, with 23,849 stock units changing hands, Massy Holdings traded 658 shares and fell 95 cents to $53.05, National Flour fell 1 cent in completing trading of 1,500 units, at $1.67 and Point Lisas traded with a loss of 10 cents at $3.45, with 10 stock units changing hands. Stocks closing firm| Agostini’s closed at $23.33, after exchanging 10 shares, Ansa Merchant settled at $37, trading 10 shares, Grace Kennedy ended at $3.35, with 30 stock units changing hands, JMMB Group ended at $1.75, after exchanging 1,210 shares. LJ Williams A Share completed trading 10 units at 20 cents, One Caribbean Media exchanged 2,938 shares to close at $10.30, Republic Financial Holdings settled at $120, after exchanging 10,102 shares, Sagicor Financial concluded trading of 10 shares at $8.66. 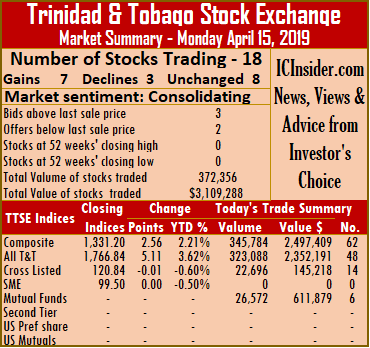 Scotiabank ended at $62.50, with 2,200 stock units changing hands, Trinidad & Tobago NGL completed trading at $29.50, with 7,802 units, Unilever Caribbean closed at $26.30, after exchanging 1,880 shares and West Indian Tobacco ended at $98.80, with 10 stock units changing hands. 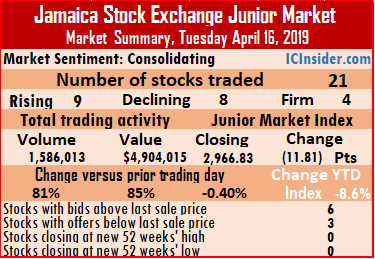 The Junior Market of the Jamaica Stock Exchange closed with volume rising 85 percent and value increasing 104 percent over Tuesday’s levels, but the market index lost 13.59 points to 2,953.24, down 9 percent for 2019 so far. Trading resulted in an exchange of 2,931,075 units valued at $10,007,520 compared to 1,586,013 units at $4,904,015 on Tuesday. Investors exchanged 24 pushed securities down from 21 on Monday with prices of 8 rising 11 falling while 5 remained unchanged. IC bid-offer Indicator| At the end of trading, the Investor’s Choice bid-offer indicator reading shows 6 stocks ended with bids higher than their last selling prices and 3 with lower offers. Trading ended with an average of 122,128 units for an average of $416,980 in contrast to 75,524 units for an average of $233,524 on Tuesday. The average volume and value for the month to date amounts to units 100,529 valued $356,911 and previously 98,795 valued $352,089 for each security traded. In contrast, March closed with an average of 195,942 shares valued at $777,498 for each security traded. At the close of the market, AMG Packaging ended with a loss of 11 cents at $2.12, with 2,713 stock units changing hands, Caribbean Cream ended trading 11,800 shares with a loss of 21 cents at $5.28, Caribbean Producers finished with a loss of 2 cents at $4.60, trading 28,000 units. Consolidated Bakeries closed with a loss of 15 cents at $1.80, with the trading of 14,500 shares, Derrimon Trading ended at $2.75, with 122,000 shares crossing the exchange, Elite Diagnostic settled with a loss of 7 cents at $2.90, with an exchange of 14,865 units, Express Catering ended trading of 6,900 shares and rose 16 cents to close at $7.22. FosRich Group closed 35 cents higher at $4.50, with 118,730 shares trading, Fontana finished trading 298,868 shares and rose 20 cents to $4. GWest Corporation ended with 174 units crossing the exchange with a loss of 2 cents at $1.31, Honey Bun concluded trading 35 cents higher at $4.05, with 105,198 shares, iCreate closed at 85 cents, with an exchange of 111,400 shares, Indies Pharma closed at $3.05, with 340,930 shares changing hands. Iron Rock settled with a loss of 5 cents at $3.45, with 1,500,000 shares. 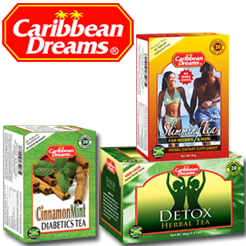 Jamaican Teas traded 55 cents higher at $4.10, with 8,500 units, Jetcon Corporation finished trading at $2.35, with 11,206 shares, Knutsford Express concluded trading with a loss of 30 cents at $12, with 7,025 stock units, Lasco Distributors finished with a loss of 5 cents at $3.70, with 22,724 units changing hands. Lasco Financial settled with an exchange of 3,295 shares and lost 24 cents at $4.16, Lasco Manufacturing ended trading 101,962 shares and closed 1 cent higher at $3.21, Paramount Trading closed 34 cents higher at $2.49, with 25,000 units changing hands. SSL Venture Capital ended 5 cents higher at $1.60, with an exchange of 5,100 shares and tTech settled with a loss of 30 cents at $5, with 64,585 stock units changing hands. In the junior market preference segment, CAC 2000 9% closed at $1.15, trading 5,600 shares. Wigton IPO over shadows JSE trading. 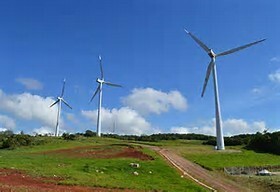 Investors focus on the Wigton Windfarm initial public share offer that opens this Wednesday, continue to cast a shadow over the rest of the market, leading to reduced trading with just 1,271,826 units valued at over $41,461,461 exchanged on Tuesday compared to 1,439,179 units valued at just $37,607,638 on Monday. Reports are that more than 4,500 applications were in the system before close of trading on Tuesday for what is turning out to be well sort after shares in the first renewable shares offer to come to the market. 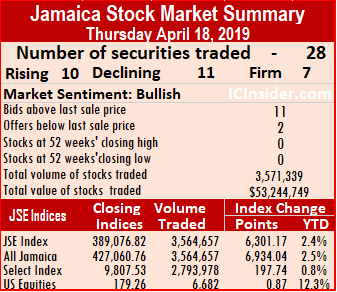 Trading on the main market of the Jamaica Stock Exchange ended Tuesday with the JSE All Jamaican Composite Index climbing 2,743.03 points to 419,854.02 and the JSE Index advancing by 2,492.67 points to 382,527.84. At the close of the main and US markets, 33 securities traded, compared to 28 on Monday leading to 10 advancing, 14 declining and 9 closing unchanged. 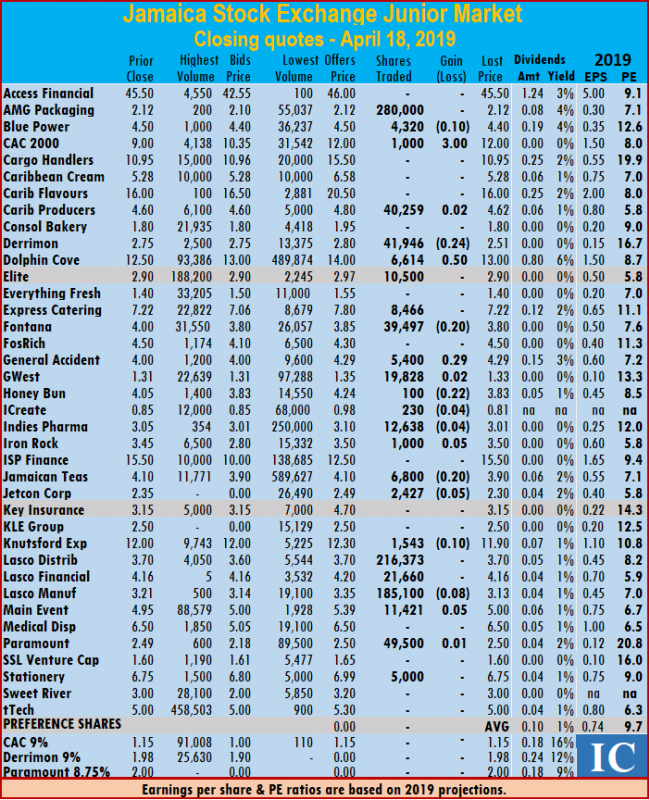 Mayberry Jamaican Equities led with 276,530 shares, accounting for 22 percent of total main market volume, followed by Sagicor Real Estate Fund with 146,545 units with 12 percent of the day’s trades and Scotia Group with a mere 120,670 units for 9 percent of volume traded. Market activity ended with an average of 43,856 units valued at an average of $1,429,706 for each security traded, in contrast to 55,353 units at $1,446,448 on Monday. The average volume and value for the month to date amounts to 145,107 shares at $2,305,661 for each security, compared to 153,425 shares at $2,384,798 previously. Trading for March resulted in an average of 438,501 shares at $9,851,307, for each security traded. IC bid-offer Indicator|The Investor’s Choice bid-offer indicator ended with the reading showing 7 stocks ending with bids higher than their last selling prices and just 1 closing with a lower offer. In main market activity, Barita Investments lost $1.90 to close at $37.60, with an exchange of 5,231 shares, Caribbean Cement declined $1 to $65.50, with a mere 770 shares changing hands, Carreras fell 28 cents trading 91,573 units at $8.75, Jamaica Broilers climbed $1.80 to close at $33, with an exchange of 53,160 shares. 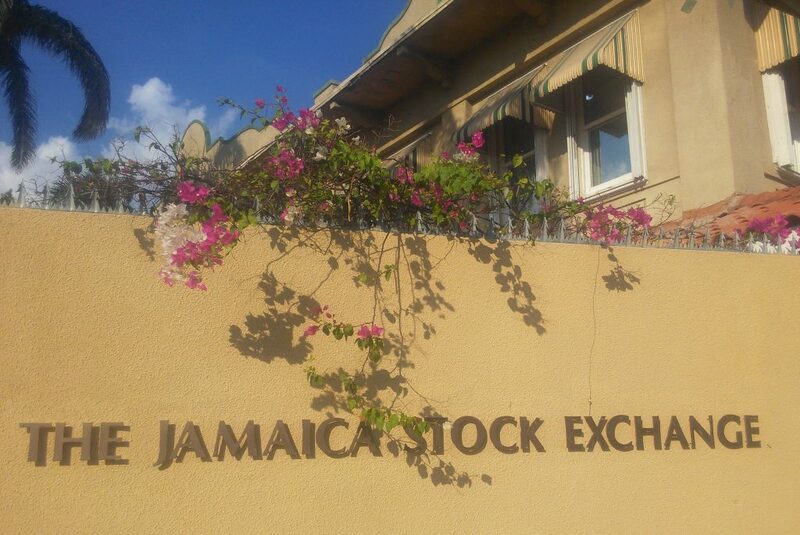 Jamaica Producers fell $1.15, to close at $22.25, after trading 5,990 shares, Jamaica Stock Exchange gained 67 cents to close at $17.25, after trading 18,622 shares, JMMB Group concluded trading 27,058 shares at $30.50, after gaining 50 cents, Kingston Wharves dropped $2 to settle at $68, with 1,500 units changing hands. Mayberry Jamaican Equities rose 90 cents trading 276,530 shares at $9.50, PanJam Investment fell $2 and ended at $79 trading 10,830 units, Sagicor Real Estate Fund dropped $1.30 in an exchange of 146,545 shares to close at a 52 weeks’ low of $9, Seprod closed at $42 with a loss of 50 cents while trading 1,236 shares. 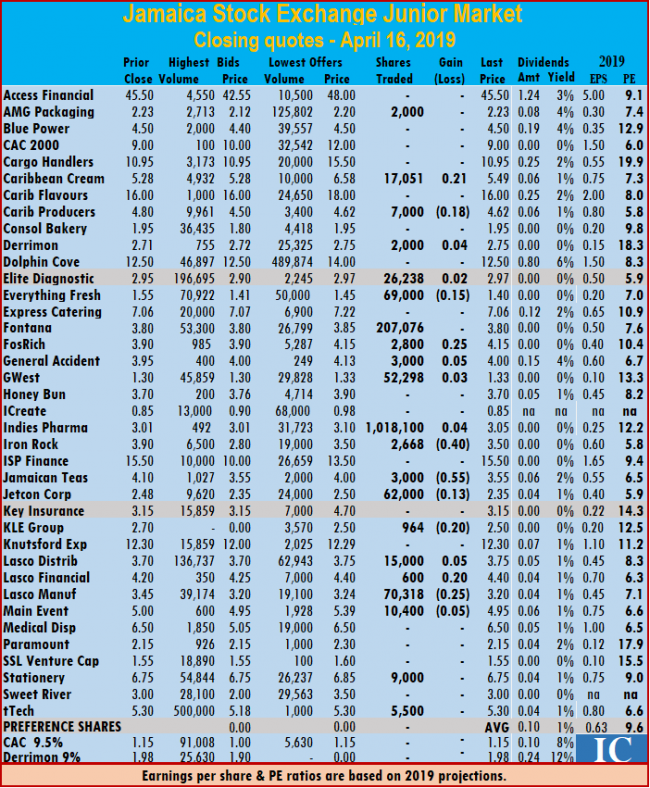 Stanley Motta gained 50 cents to end at $5, exchanging 986 shares, Supreme Ventures gave up $1 in finishing at $25, with 34,782 units changing hands Sygnus Credit Investments shed 60 cents in trading 13,800 units to close at $11.40 and Wisynco Group gained 29 cents trading 64,250 units, to close at $11.35. Trading in the US dollar market ended with 34,592 units valued $12,596. Eppley 5% preference share, closed at 98 US cents with 5,292 shares changing hands and JMMB Group 5.75% preference share settled gained 1 cent and ended at US$2.05 trading1,000 shares, Proven Investments ended trading with 20,000 units at 23 US cents and Sygnus Credit Investments shed 2 cents in trading 8,300 units to close at 9 US cents. The JSE USD Equities Index lost 0.89 points to close at 178.39. 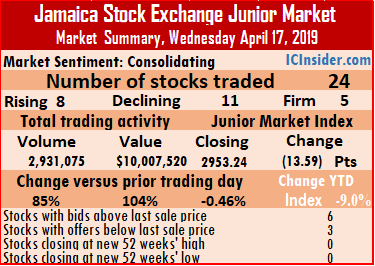 The Junior Market of the Jamaica Stock Exchange closed with volume and value increasing more than 80 percent over Tuesday, with the market index losing 11.81 points to 2,966.83. 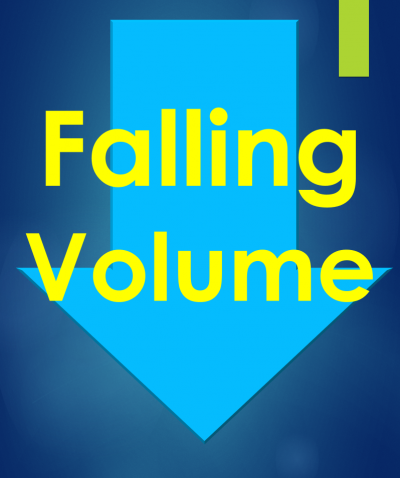 Investors exchanged 21 securities, down from 22 on Monday with prices of 9 rising 8 falling, leaving 4 unchanged. Trading resulted in an exchange of 1,586,013 units at $4,904,015, compared to 876,086 units valued $2,653,927, changing hands on Monday. Trading ended with an average of 75,524 units for an average of $233,525 in contrast to 39,822 units for an average of $120,633 on Monday. The average volume and value for the month to date amounts to units 98,795 valued $352,089 and previously 100,553 valued $361,045 for each security traded. In contrast, March closed with an average of 195,942 shares valued at $777,498 for each security traded. 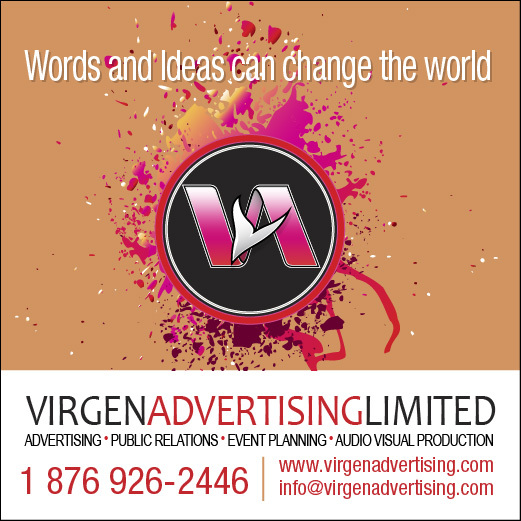 At the close of the market, AMG Packaging ended at $2.23, trading 2,000 stock units, Caribbean Cream rose 21 cents to close at $5.49, trading 17,051 shares, with Caribbean Producers finished trading 7,000 units with a loss of 18 cents at $4.62, Derrimon Trading ended 4 cents higher at $2.75, with an exchange of 2,000 shares. Everything Fresh lost 15 cents to close at $1.40, with 69,000 stock units changing hands, Elite Diagnostic settled 2 cents higher at $2.97, with 26,238 units traded, FosRich Group traded 2,800 shares and rose 25 cents to end at $4.15, Fontana finished trading 207,076 shares at $3.80. General Accident closed 5 cents higher at $4, with an exchange of 3,000 stock units, GWest Corporation rose 3 cents to close at $1.33, with 52,298 units passing through the market, Indies Pharma finished trading 4 cents higher at $3.05, with 1,018,100 shares changing hands. Iron Rock settled with a loss of 40 cents at $3.50, with the trading of 2,668 shares, Jamaican Teas traded 3,000 units with a loss of 55 cents at $3.55. Jetcon Corporation ended market activity with 62,000 shares and lost 13 cents to close at $2.35, KLE Group ended with a loss of 20 cents at $2.50, with 964 shares changing hands, Lasco Distributors finished 5 cents higher at $3.75, with 15,000 units traded, Lasco Financial rose 20 cents and higher settled at $4.40, while trading 600 shares. Lasco Manufacturing ended trading 70,318 shares, with a loss of 25 cents to close at $3.20, Main Event ended with a loss of 5 cents at $4.95, with 10,400 shares changing hands, Stationery and Office concluded trading of 9,000 shares at $6.75 and tTech settled at $5.30, with 5,500 stock units trading. First Citizens is one of a number of Trinidad stocks closing at 52 weeks’ high in 2019 on TTSE. 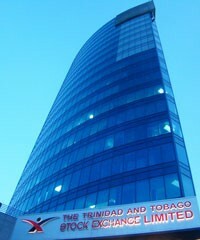 Trading on the Trinidad & Tobago Stock Exchange, continues to show signs of new life in 2019, with the market ending on Monday with 18 securities changing hands, against 13 on Friday. 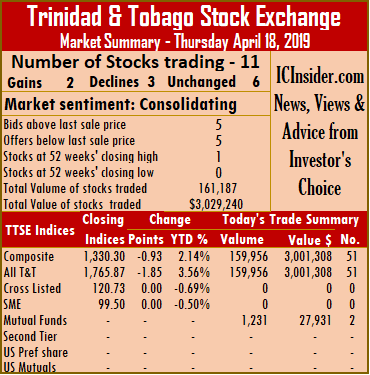 The market closed with 7 stocks rising, 3 declining and 8 remaining unchanged, leading to positive gains in the main market indices and rise of 3.6 percent for the year to date for Trinidad stocks compared to a 1.8 percent fall at the same time in 2018. For the year to date, a number of stocks recorded new 52 weeks’ highs and that trend seems set to continue. At the market’s close, Composite Index rose 2.56 points to 1,331.20. The All T&T Index declined gained 5.11 points to 1,766.84, while the Cross Listed Index inched down by 0.01 points higher to close at 120.84. 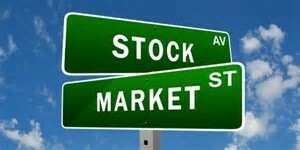 At the close, investors exchanged 372,356 shares at $3,109,288, compared to 102,669 shares at $1,954,012 on Friday. IC bid-offer Indicator|The Investor’s Choice bid-offer ended at 5 stocks with bids higher than their last selling prices and 2 with lower offers. At the close of the market, stocks ending with gains| Clico Investments gained 3 cents and settled at $23.03, with 26,572 stock units changing hands, First Citizens added 2 cents to close at $36.55, after exchanging 1,712 shares, National Enterprises increased 45 cents and settled at $7.25, with 2,000 stock units changing hands. National Flour rose 5 cents and closed at $1.68, in trading 180,293 units, One Caribbean Media closed with a gain of 15 cents and completed trading at $10.30, after exchanging 119,300 shares. Point Lisas gained 10 cents and settled at $3.55, with 1,000 stock units changing hands and Republic Financial Holdings finished trading 563 shares with a rise of 8 cents in closing at $120. 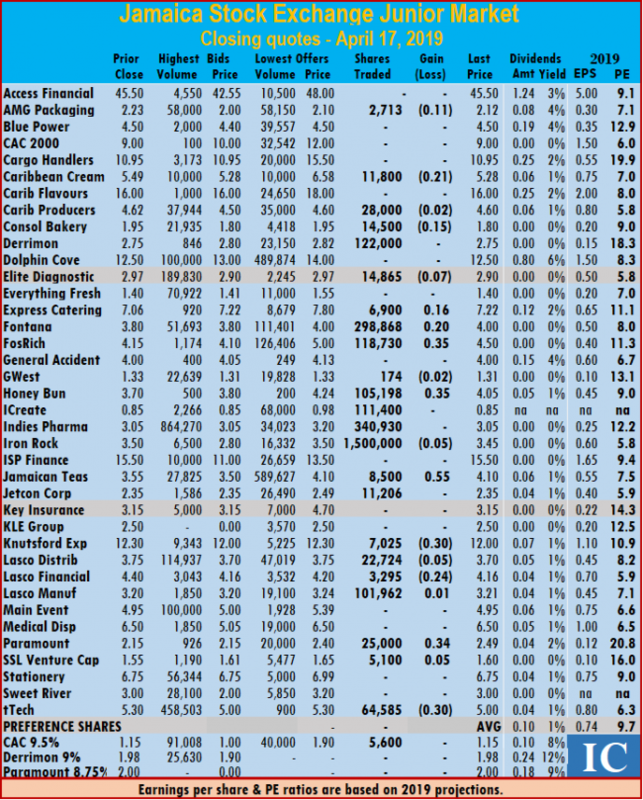 Stocks closing with losses| Angostura Holdings fell 20 cents and settled at $15.80, with 1,105 stock units changing hands, Massy Holdings closed with a loss of 11 cents and completed trading at $53.09, after exchanging 9,550 shares and Sagicor Financial shed 1 cent and completed trading at $8.79, after exchanging 13,754 shares. 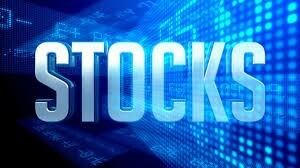 Stocks closing firm| Agostini’s completed trading at $23.33, after exchanging 560 shares, Grace Kennedy settled at $3.35, with 300 stock units changing hands, Guardian Holdings concluded trading with 137 units at $18.50, JMMB Group completed trading at $1.75, after exchanging 7,385 shares. NCB Financial Group ended at $8.25, after exchanging 1,257 shares, Trinidad & Tobago NGL exchanged 3,765 units, at $29.40, Trinidad Cement ended at $2.60, after exchanging 2,303 shares and Unilever Caribbean traded 800 shares at $26.30.